The Seymour Housing Authority has administered public housing for the Town of Seymour for over fifty years. 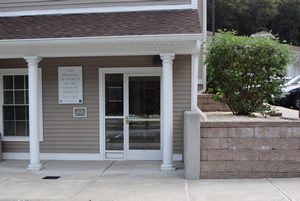 We administer 81 units of State Moderate Rental Housing, 120 units of Federal Elderly Housing and 56 units of State of Connecticut PILOT Demonstration Assisted Living Housing. We also provide property management services for an additional 12 units in Seymour and 34 units in Oxford. It is the mission of the Housing Authority of the Town of Seymour to affirmatively further fair housing, to assist low and moderate income families to meet their housing needs, to provide safe, decent, and affordable housing, and to advocate and promote housing opportunities in the rental, home ownership, and assisted living affordable housing markets for the Seymour community and the jurisdiction for which it serves. We strive to provide excellent customer service to our residents, applicants, guests, and the general public by treating everyone with respect and dignity and by handling all inquiries and concerns in a timely and responsible manner.